It’s no secret that having a strong social presence is just as important as having a solid website presence. In fact, both should compliment each other and be used jointly towards engaging and converting users into customers. Many businesses today have Twitter accounts precisely for this purpose yet are not engaging their users or increasing their reach as best they can. The fact of the matter is that businesses can engage and reach more Twitter followers, while posting less if they follow the 10 simple tips we’ve outline below. These tips have been constructed by analyzing the latest Twitter and social media statistics. Include a link to increase your retweet rate by 86% vs. standard tweets. Increasing your reach is an effective way of attracting new followers. Including a link in your tweet will increase your chances of having your tweet retweeted. This will get your tweet in front of more people and result in more followers. Tweets that include an image link are 2 times more likely to engage followers. Keeping your current followers interested is important, otherwise they’ll just stop following you! One of the best ways to engage your followers is to add an image link to your tweets. Visual elements engage users much more quickly than standard text and when you’re trying to get your tweets noticed ahead of others, that’s a good thing. Use hashtags to increase user engagement by up to 2 times. Social interaction is all about having conversations. The same is true with social media. Hashtags allow us to join conversations so that we can speak to twitter users who are interested in the same topic as us. After all, we all like to talk about things that interest us so it goes without say that including a hashtag in your tweet will only increase your user engagement. You are 12 times more likely to be retweeted if you ask and 23 times if you spell out the word ‘retweet’. Ask and ye shall receive. Ask a little more specifically (i.e. retweet this tweet) and ye shall increase you chance of receiving that what it is you have asked for. 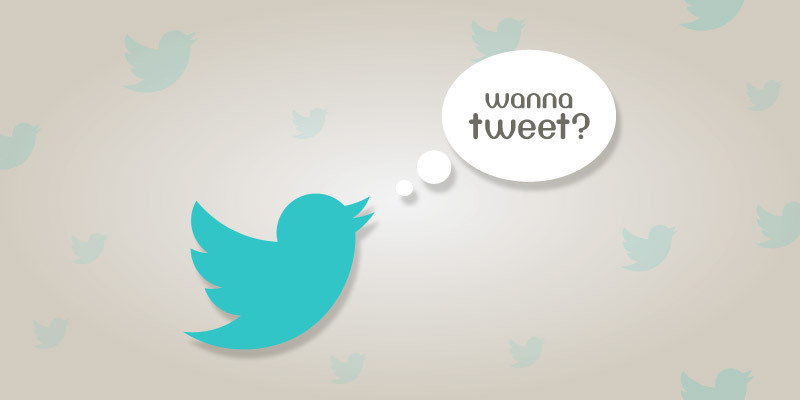 Keep Tweets between 100 – 120 characters for 17% higher user engagement. Sometimes people just want, what they want, when the want it. It’s a product of our time. Give it to them in under 120 characters to keep them interested but not so few that you aren’t giving them what they want. User engagement is 17% higher on weekends vs. weekdays. Many of us socialize with our family and friends most when we’re not working. The same is true for social media. Many people take to twitter during their free time and more so during the weekends. As a result, you have a greater likely hood of engaging your users during this time. You can use tools like Hootsuite or Buffer to help you schedule posts during the weekend. Retweeters are 122% more likely to send direct messages through Twitter. A retweeter can be thought of as an amplifier because they can take you content and increase it’s reach. Amplifiers are more likely to use Twitter to communicate with their family and friends through Twitter Direct Messages and in turn they are more likely to speak directly with their followers regarding things they like. Mobile power users are 181% more likely to be on Twitter during daily commutes. As we learned in tip #6, knowing when to engage your users is important. Throughout the week, you can engage your followers (or non-followers using hastags) during their lengthy morning and afternoon commutes. Your tweet can be that momentary spark of humour or wisdom that will make their tedious commute that much more bearable. 66% of user generated tweets about brands are done on mobile devices. This stat gives us a couple of gems. Firstly, as a brand advertiser, we know that engaging users on mobile devices is very important. This holds true not only for Twitter but with all social networks and brand websites. Therefore we need to ensure that all of our social media and web properties are optimized for mobile devices. Secondly, since we know users are using mobile devices when tweeting about brands, we want to ensure that our interactions with followers are mobile-friendly as well. Including links, hastags and properly formatted user links ensures that users continue using their mobile apps rather than opening a new browser tab or relying on other devices to find information. 55 – 64 year olds is the fastest growing Twitter demographic. Depending on your business, this demographic can not be ignored and yet most advertisers never think to advertise to this age group. This demographic is likely more financially secure than younger demographics and as a result, they have more money to burn. I'm an honest and hardworking developer, designer and internet marketer from Waterloo, Ontario, Canada. Technology, design and the internet are passions of mine that often intersect so it's only fitting that I would work in the website development, design, branding and marketing worlds! When I'm not pushing pixels and rankings, I'm spending time with family and friends, playing guitar, kicking the soccer ball or having a BBQ!